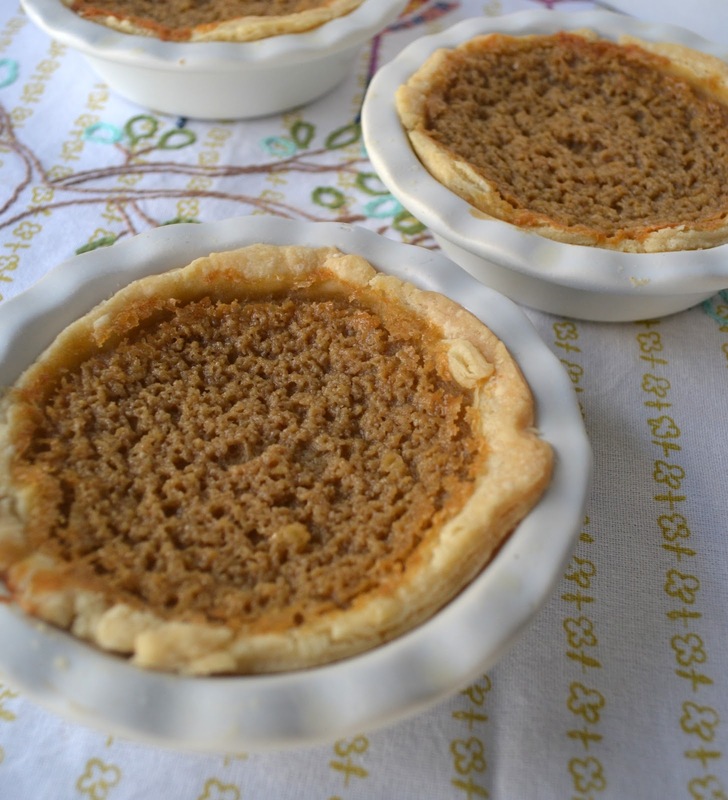 I don't think I had heard of Buttermilk Pie before seeing it in Baked Explorations. But it sounded an awful lot like one of my favorite pies ever, Chess Pie, so I anticipated liking it. But I didn't like it, I loved it. Buttermilk Pie is baking at its most rustic. Flaky pie dough is filled with a simple custard flavored with, of all things, buttermilk. Maple syrup is the final addition and adds that earthy sweetness that only maple syrup can. The Baked boys warn that this pie won't win any beauty contests. A showstopper it's not. Its beauty lies in its simplicity. The recipe can be found at Baked Sunday Mornings. Love the mini pies! Looks perfect! We made a version of this pie a few weeks ago. It was really nice. Sweet, but not nearly as sweet as chess pie (which I love, but seriously, eating that pie can cause heart racing and manic episodes!). Wow these look great! Love the mini pies! Mini pies are sooo cute! Your little pies are perfectly browned. We also loved this recipe. Great looking little pies. What a good idea to make them mini. And they looked so beautifully browned. I love that you made them mini! And I love this too. More than I love chess pie, for sure. Your little pies are so cute! I have never had chess pie, though I know I have at least a couple books with recipes for it - I'll have to check it out. The pie looks wonderful. A great pie to make for Thanksgiving:) Thanks for sharing. Thanks for sharing the recipe! Super easy and now I know what to do with the leftover buttermilk.